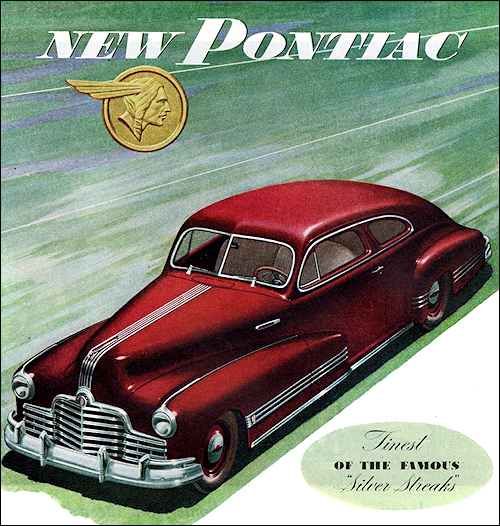 With every advance in design and in engineering, one Pontiac quality has remained unchanged – its reputation for dependable performance and extra value. 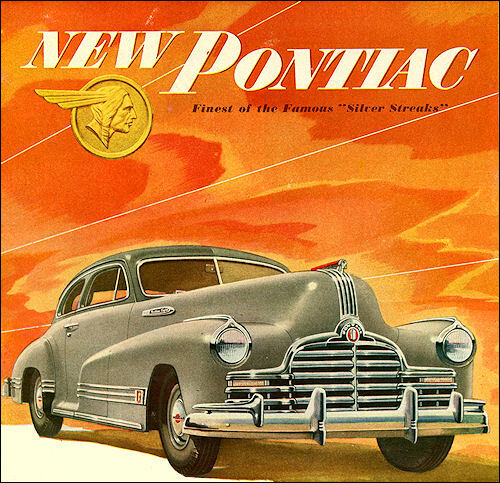 The new 1946 Pontiac strengthens that fine reputation. 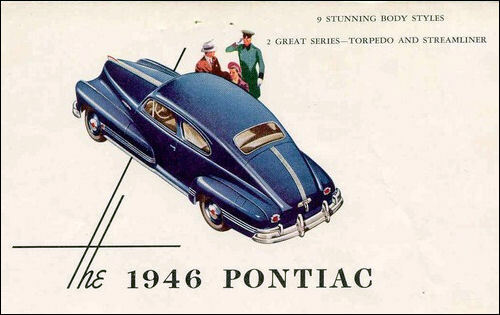 To a background of fine performance, proved and reproved during war years, Pontiac engineers have added important improvements – as many, in fact, as in any prewar year. 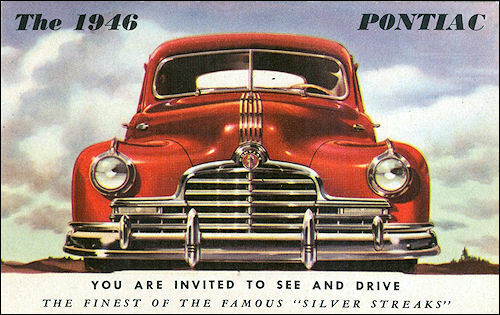 This continuous endeavor to improve the basic goodness of every new Pontiac began years ago when its famous Silver Streak styling introduced a new concept of value in the low-price field. 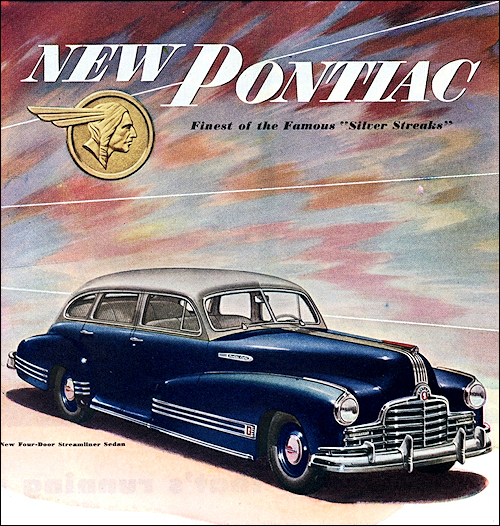 The 1946 Pontiac, still in the low-price field, brings dependability, performance and value to a new high level. A fine old name now soars to even greater fame! New, beautiful exterior appearance ... Improved, rust-resistant bodies ... New instrument panel ... 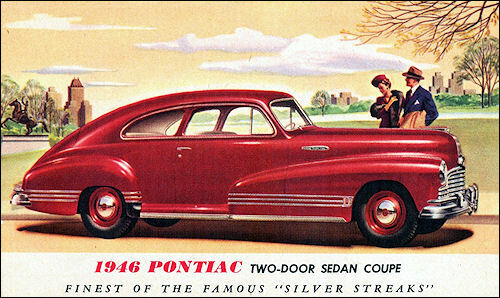 Heavier chrome finish ... New interior trim ... 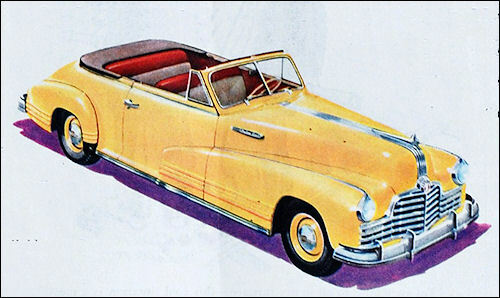 Improved clutch ... New, wider wheel rims ... Longer-life muffler and tail pipe ... Improved cooling. Both engines are available on all models. 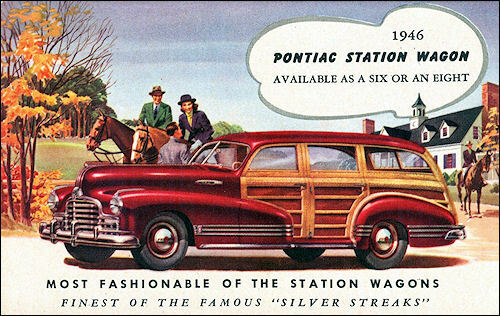 Bumper guards and duo-tone paint finish are optional at extra cost.